Photo Stencil has named James F. Reilly, II, Ph.D. as vice president of research and development. In this newly created position, Dr. Reilly will direct research in support of the company's product roadmap and technology plans for the future. Dr. Reilly has a background that is unique in the industry. A decorated officer in the United States Navy, he joined NASA in 1994 where he is qualified as a mission specialist. Reilly flew on Space Shuttle missions STS-89 in 1998; STS-104 in 2001; and STS-117 in 2007. He has logged over 853 hours in space, including five spacewalks totaling over 30 hours. Following the Columbia accident, he was involved with development and testing of repair materials and techniques for the Shuttle's thermal protection system. A materials expert, Reilly received his BS, MS and Ph.D. in geosciences from the University of Texas at Dallas. He worked as an oil and gas exploration geologist for Enserch Exploration, Inc. in Dallas, rising to the position of Chief Geologist. He was actively involved in the application of new imaging technology for industrial applications in deep water engineering projects and geological research. Dr. Reilly will join Dr. William E. Coleman, Photo Stencil's vice president of technology, on a number of ongoing development programs. Reilly commented, "Bill Coleman has been instrumental in bringing numerous stencil products and processes to market. I am looking forward to working with him and drawing on his wealth of knowledge." Keith Favre, president and CEO of the company, added, "We are very fortunate to have the capability of two Ph.D.s on our team. Given the scientific nature of our business, the use of high-tech materials, and the rigor of our processes, we feel that having this level of expertise in- house is critical to our leadership position and achievement of our future goals." In this new role, Dr. Reilly will act as liaison to both customers and business partners to ensure congruency of Photo Stencil's roadmap with the needs of the industry. In addition, he will spearhead independent projects that are designed to develop new products and technologies for the printing process. He begins his duties with the company in May. Photo Stencil is a leading full-service provider of high-performance stencils and tooling for the surface mount technology (SMT) assembly industry. Their innovations include the patented AMTX E-FAB electroformed stencils, the high-performance, proprietary NicAlloy stencil, laser-cut stencils and chem- etch stencils. Step or multi-level stencils are offered in all three technologies. Stencil design support and customer-specific design libraries are also provided. Photo Stencil's comprehensive portfolio of related products includes a complete line of squeegee blades, featuring the patented, electroformed E-Blade, and tooling products, such as thick film and metal mask screens. Headquartered in Colorado Springs, Photo Stencil was founded in 1979 and currently holds many patents, trademarks, and proprietary technologies. The company has additional manufacturing facilities in Mexico and Malaysia. 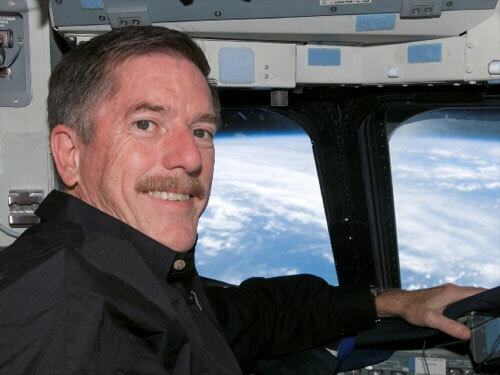 Veteran space shuttle astronaut James Reilly has left NASA to accept a position in the private sector. Reilly flew on three space shuttle missions to two space stations. "Jim Reilly performed superbly as an astronaut over the course of his career at NASA," Astronaut Office chief Steve Lindsey said. "His technical, operational and people skills contributed directly to the success of the space shuttle and International Space Station programs. He was a key leader in the Astronaut Office and will be missed." Reilly's spaceflight experience includes more than 853 hours in space. He has conducted five spacewalks, totaling more than 31 hours. Selected as an astronaut in 1994, Reilly first flew in January 1998 aboard shuttle Endeavour's STS-89 mission, the eighth shuttle mission to visit the Russian space station Mir. He next flew in 2001 on STS-104 aboard shuttle Atlantis, performing three spacewalks during that flight to install the joint airlock on the International Space Station. Reilly again flew on Atlantis in 2007 on STS-117, performing two spacewalks for construction and repair of the International Space Station. In case it interests anyone, a bit of trivia - in the ad, the Apollo command module that Reilly speaks in front of is Apollo 7, as that segment of the ad was shot at the Frontiers of Flight Museum in Dallas. Former NASA Astronaut, Jim "JR" Reilly, PhD, has joined American Public University System (APUS) as Dean of the School of Science and Technology. APUS is an online university system that serves more than 50,000 working adults worldwide. Dr. Reilly will manage seven program areas in the School, including Math, Space Studies, Environmental Science and the development of future programs. Dr. Reilly will enhance the capability and practice of offering labs at a distance and further build the faculty in the School of Science and Technology to support the student growth in those programs. He will also lead the Space Studies program. Prior to joining APUS, Dr. Reilly enjoyed a long career at NASA, where he logged 850 hours in space with 5 spacewalks on three Space Shuttle missions. Before his NASA experience, he spent 17 years in the petroleum sector as a manager and exploration geologist in Dallas, Texas. Dr. Reilly also serves as the curriculum developer and instructor for the US Navy in Space Operations working via the Advanced Space Operations School operated by the Air Force. "We are extremely pleased that JR has joined the faculty at APUS," said Karan Powell, PhD, Academic Dean and Senior Vice President at APUS. "His first-hand knowledge of aerospace and extensive research in geosciences will greatly enhance student experience at APUS. We look forward to his continued contributions to our growing university system." Dr. Reilly is a speaker and instructor for team and leadership training activities for companies and organizations throughout the world. His clients have included General Mills, Small Planet Foods, US Marshals Service, FBI, Subsea UK, BP, the CIO 100, and numerous universities and professional groups. He has also been active in educational outreach dedicated to delivering science and math literacy efforts to schools in the US, UK and Australia. Dr. Reilly received a BS, MS and PhD in Geosciences from the University of Texas in Dallas. He received his PhD in 1995 for work on the geological controls for the distribution of chemosynthetic organisms in the deep water regions of the Gulf of Mexico. American Public University System includes American Public University and American Military University and educates more than 50,000 adult learners worldwide. APUS's relevant curriculum, affordability, and flexibility help working adults pursue degrees in subjects ranging from homeland security to management and liberal arts. A university book grant supplies course reading materials at no cost to eligible undergraduate students. President Donald Trump has announced his intent to nominate Dr. James Reilly to be Director of the United States Geological Survey, Department of the Interior. Dr. James F. Reilly, II, Ph.D., of Colorado Springs, CO, to be Director of the USGS. Dr. Reilly currently serves United States and allied militaries as a subject matter expert on space operations, and he is a technical advisor supporting the National Security Space Institute of the U.S. Air Force. Previously, Dr. Reilly held management positions in academia, as well as at TAEUS Corp., and PhotoStencil, Corp. in Colorado Springs. During his 13 year career at NASA, he flew three spaceflight missions conducting five spacewalks for a total of over 856 hours in space. Prior to NASA, he was chief geologist at Enserch Exploration, Inc., working projects around the world including in Antarctica and on the continental slope of the Gulf of Mexico. 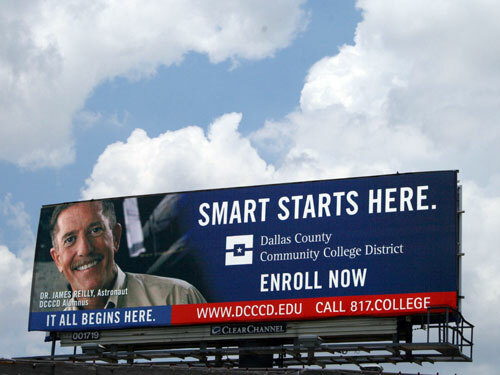 He earned his B.S., M.S., and Ph.D. in geosciences from the University of Texas at Dallas.